"I help organizations realize the full potential of their human resources...."
Hank Sarkis is president of The Reliability Group, a strategic planning and human resource consulting organization. He is an experienced corporate planner, consultant, and operations executive. Prior to forming The Reliability Group, Sarkis directed corporate planning for Holiday Inns, served as operating vice-president for a major development organization, and worked in strategic planning and line management with Florida Power & Light Company. His engineering background together with his expertise in strategic management, finance, and human resources gives him broad perspective and experience. Sarkis is an expert in the design and implementation of strategic management systems. He has worked with a major pharmaceutical company in the U.S. and Europe to help them focus and refine their corporate vision. While with Holiday Inns, he designed a process to identify emerging business trends that will have a major impact on the company. He has also developed systems for total quality management, customer satisfaction measurement, project management, maintenance scheduling, and inventory management. Sarkis holds both a Bachelors Degree in Electrical Engineering and a Masters Degree in Business Administration from the University of Miami. As a consultant, Sarkis works with clients such as Exxon, Shell Oil, Potlatch Paper, Monsanto, Wausau Insurance, and Peabody Coal. Over 40 of his articles have been published in professional and trade publications. His syndicated column on business management has appeared in several business journals. He has co-authored the textbook Vision and Foresight in Business , and has served as Technical Editor for Business Tomorrow . Sarkis has been a keynote speaker at several national conferences including: American Nuclear Society, American Society of Business Communicators, American Society of Medical Administrators, American Society of Safety Engineers, American Society for Training & Development, Association of Quality & Participation, Edison Electric Institute, Electric Power Research Institute, Florida Fruit Shippers Association, Gold Coast Venture Capital Forum, Michigan Safety Conference, Palm Beach Society of Inventors, and the Planning Executives Institute. 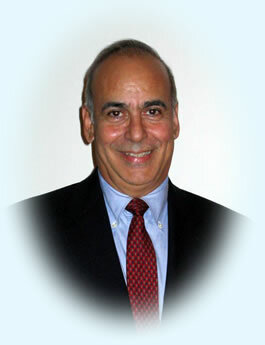 Mr. Sarkis currently serves as Commissioner to the Florida Hillsboro Inlet District Authority. Sarkis has been an adjunct finance professor at the University of Miami's School of Business Administration and has served as an advisor to state and local government on long-range planning issues. He is a member of the Monroe Dunaway Anderson Society, University of Texas MD Anderson Cancer Center. He currently resides in Lighthouse Point, Florida.